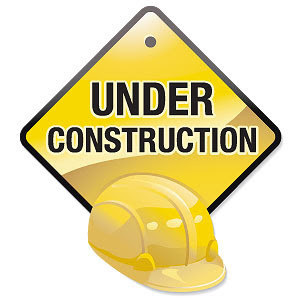 Website & marketing tips for businesses with websites under construction. For over 50% of small businesses, a website and online marketing is a key element in new business generation, customer relations & reducing costs*. No matter how ‘non-techie’ a business might consider themselves to be, the fact that the term ‘google it’ is in the dictionary is a testiment to the pervasiveness and importance of the Internet. All businesses need to invest to grow and for business-to-business companies, a quality website is likely to see much higher ‘traffic’ levels than a reception area, an advert in local paper or leaflet drop. Yet businesses are willing to spend hundreds, if not thousands, on areas that do not deliver the return on investment that the Internet does – and that is not good business practice! For businesses working with a limited budget, an effective business website can be created for as little as £995. E-creation can help grow your business through ‘cool’ design & functionality in stationary, websites, multimedia & presentations. Have an easy-to-remember phone number visible on every page of your website. Simple yet effective! Write quality content using web-focused copywriting for websites that achieve free amazing search engine rankings. Set up a blog using a free tool such as ‘Blogger’. Post unique, informative content and Google will boost you to the top of results. Keep content up-to-date because if a website has out of date information, many people assume the business is no longer trading. Put web address on all marketing because it is the easy path for businesses to find our more and make contact. Embrace multimedia. Use it to communicate what makes your product or service special much more effectively than words alone. Keep the design simple yet appealing. Businesses such as Apple have built their success through effective, recognisable design. Use directories to promote your business - 86% of business searches in Yahoo local result in a phone call to the found business. Producing video content. It is inexpensive & easy when creatively treated yet has significant impact especially virally on YouTube. Setup a Twitter account and use it as a free content management tool to promote products, offers and topical information. Create a Facebook group linked to your website and let your customers do your online marketing for you by uploading photos. Use psycholinguistics in website content to really influence behaviour and deliver the desired results more cost effectively. Finally … get a website designed! If people are looking for you and can’t find you, then they can’t do business with you. Please contact E-creation on 01202 853685 or visit our website at www.e-creation.eu or to see the marketing worksheet online, click here.